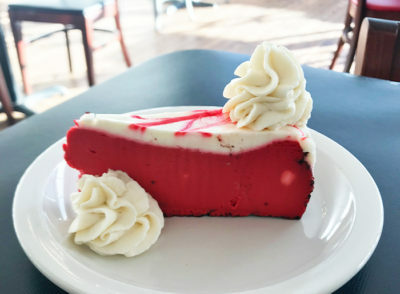 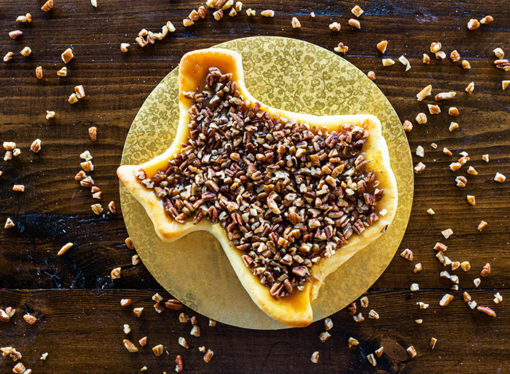 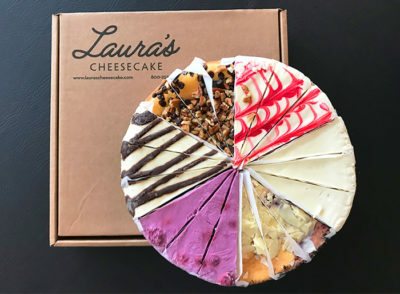 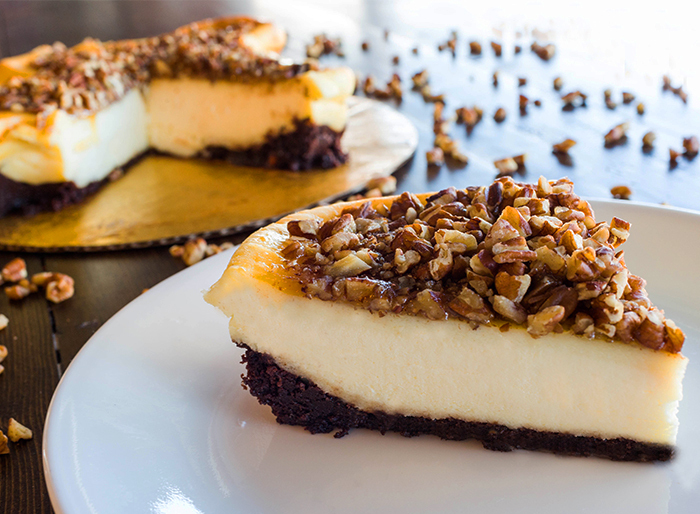 This cheesecake is a true taste of Texas hospitality. 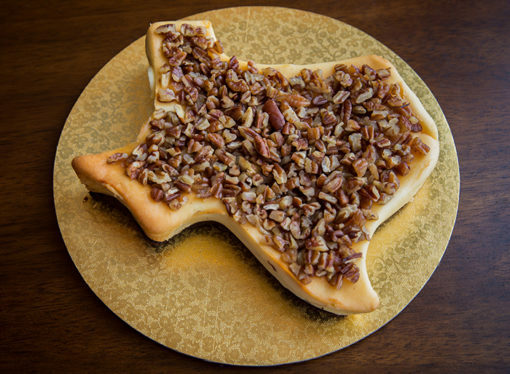 It’s over the top just like our great state. It starts with a rich and thick chocolate brownie base baked into our Texas-shaped pans. 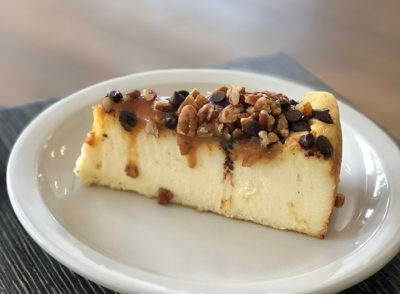 Then we fill it with Laura’s Classic cheesecake filling and top it with creamy caramel sauce and chopped Texas pecans.